It’s one of the most exciting questions there is, but for parents it can be challenging. That’s why we created Science for Families, a five-week course of scientific exploration where parents and their children work together to explore… why? The course is a safe place to ask, encourage, and investigate, using nothing more than the sorts of odds and ends you can find in your kitchen. 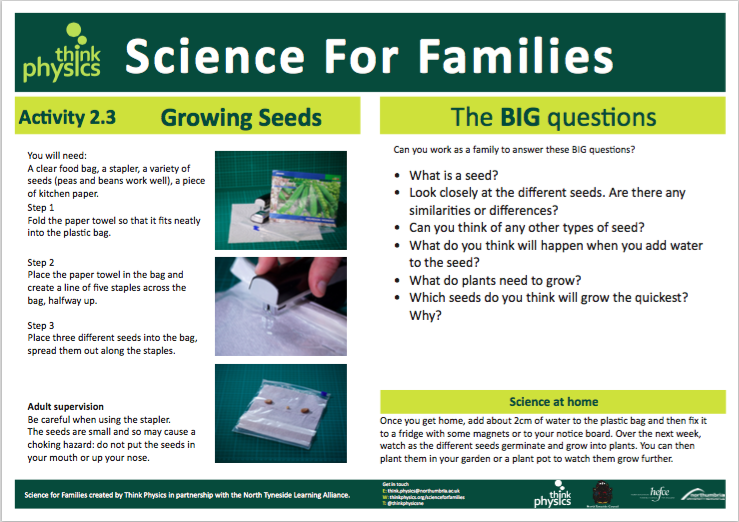 Through the course, families begin to get to grips with talking about science. Fostering these types of conversation outside of the school walls has a positive effect on children learning science inside the classroom. This is part of the concept of ‘science capital’ – for more, see the ASPIRES report. The course was developed with North Tyneside Council’s Adult Learning Alliance. After a pilot in Monkhouse Primary School, North Shields, the course is now being rolled out by the Learning Alliance to other primary schools. 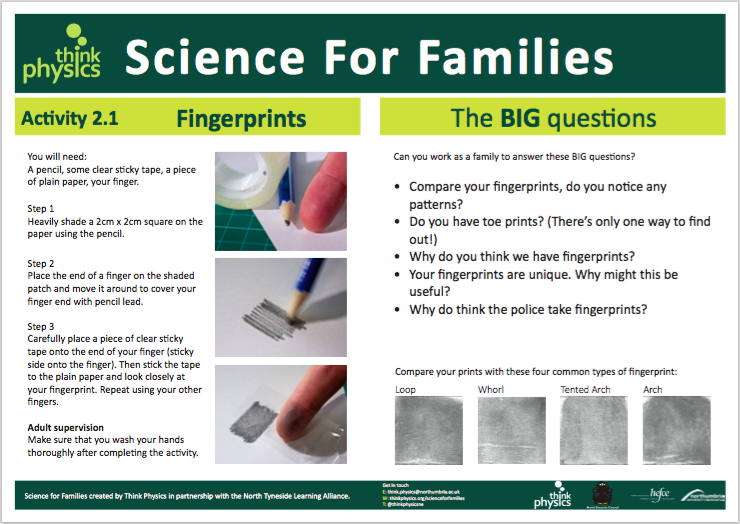 Feedback continues to be excellent, with families reporting that they’ve enjoyed the opportunity to explore science together in a relaxed environment. The full course includes more than a dozen activities. We’ve made three available below, which you’re welcome to download them and try at home in your kitchen, or in school with some families. 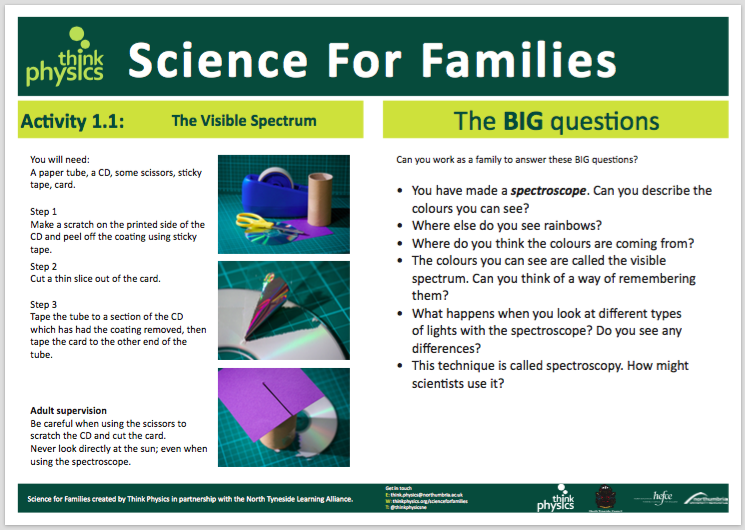 If you’re interested in running the full Science for Families course in your school, please get in touch and we can organise training for you (or your staff). The training will include all the resources and expertise you need to set up and run the course. Email us if you’d like more information.